Jakarta, November 7th 2014 â€“ Following the growing popularity of its Hotel NEO brand, Archipelago International has proudly announced that the first Malaysian Hotel NEO will be opening in Penang during the second quarter of next year. The newest member of the Archipelago International family, Hotel NEO Penang â€“ Malaysia will be the first Hotel NEO to open in the popular island destination, underscoring the brand's strategy to accelerate expansion nationwide. 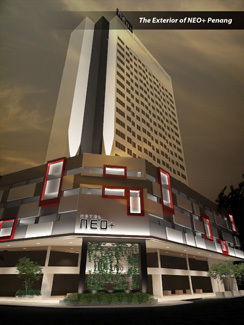 Hotel NEO Penang - Malaysia will be located in George Town, the capital of Penang in the north-east corner of Penang Island. Penang, known as the â€œPearl of the Orientâ€, is located on the north-west coast of Peninsula Malaysia, nearby to the picturesque Strait of Malacca. 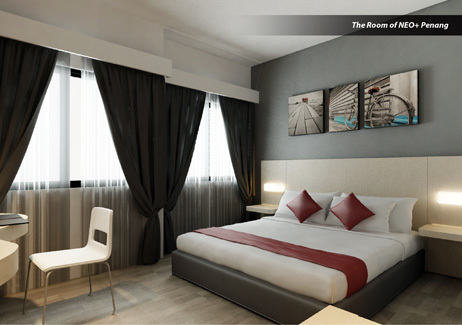 "Bringing Hotel NEO's trademark experience to Malaysia, Hotel NEO Penang â€“ Malaysia will offer a 100% smoke-free environment â€“ one of the defining features of NEO Hotels that ranks them as the first and only 100% non-smoking select service hotel brand. NEOs also offer guest rooms with a full set of amenities and upmarket facilities without the high price-tag, staying truthful to the group's credo that well designed and exciting hotels do not need to be expensive." said Norbert Vas, Archipelago International's VP Sales & Marketing.